Sales team management is a weighty work that requires certain personal skills and time. Managing sales teams effectively can help sales reps increase the number of orders and build strong relationships with customers, improving their sales performance. For a sales team manager staying organized is the key to being effective. A sales manager has to analyze large amounts of data, to monitor sales performance, identify trends, adjust business strategy and make all kinds of decisions. None of it is possible if a manager doesn’t have all the necessary information readily available and can’t quickly have access to precisely the data he needs at the moment. Access all the necessary information from one place – Sales team management software solutions allow organizing retail workflow in a centralized place, accessible anytime, anywhere. Always having ready at hand complete information on customers, points of sale, sales reps’ performance, history of retail visits, orders/returns, product catalog and so on, field team managers are able to act better and faster. 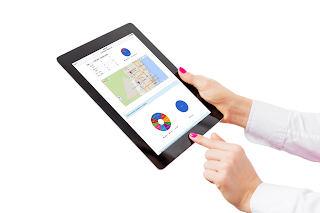 Sales team management software also provides great analytic capabilities for managers. Whether you are processing customer or employee surveys, electronic order forms, questionnaires, market research surveys, retail audit data, or even images from photo reports, sales team management software will present you with the data you need in the shape you need it. Create a schedule of retail visits in few clicks – Field sales management software offers sales team managers a great variety of opportunities to reduce time spent for scheduling, including planning visits in bulk or individually, rescheduling appointments on the go, adding visits and tasks during a day. With a sales team management software solution it takes less than a minute to plan the schedule of visits for a sales rep for weeks or even month in advance. Moreover, a manager doesn’t have to invest any time at all to notify sales reps of the schedule – all the information about visits and tasks to be performed is instantly in their tablets and smartphones due to automatic synchronization. Easily manage sales territories – Using field sales management software for territory planning allows clearly defining field reps’ responsibilities, avoiding territory overlap and conflicts between team members. A manager can easily assign and reassign sales reps to customers or vice versa in bulk or individually, use interactive search capabilities to navigate customers and see them on the map, filter customers on the map by name, address, area code, custom properties, export and import customer/user mapping, compare two or more users territories to eliminate overlapping customers, and more. To learn more about sales management tools, or get your free trial of sales team management software, visit www.visitbasis.com. To get more information on sales teams management you can also read our previous articles.